The Discovery 4 looks like a pretty menacing sight due to its height and length however it is nothing more than a big car, in fact on a brisk run from Ballyhalbert to Groomsport in the rain I was pleasantly shocked at just how well this 4×4 handles, I would dare to say better than some big cars on the roads these days and I will admit it cornered better than my eight year old German estate car! When driving, the Discovery 4 doesn’t feel anywhere near as big as it looks and with full heated leather throughout it was an absolute joy to be in, even when crossing the many log bridges and driving through the floods within the estate it was as comfortable as a memory foam mattress. Speaking of comfort, just looking at plush materials can make one feel comfortable and the dash of this HSE model tested isn’t even of the “soft touch” materials, oh no it was lovingly covered in leather and the quality didn’t stop there, the infotainment system was fantastic and incredibly easy to use with DAB radio, Bluetooth, reverse camera and USB connectivity etc. Front and rear room was tremendous and with “stadium seating” it allows those in the rear a good chance to keep an eye on the road ahead and the sixth and seventh seats that popped up from the boot floor offered adult sized comfort making this a perfectly usable seven seater. With the rear seats folded down the boot of the Discovery 4 can only be described as a garden shed, it’s huge with more than enough room for a few Labrador retrievers, shotguns and the quarry of the day from a local estate or even a nice stag for the country stalker. 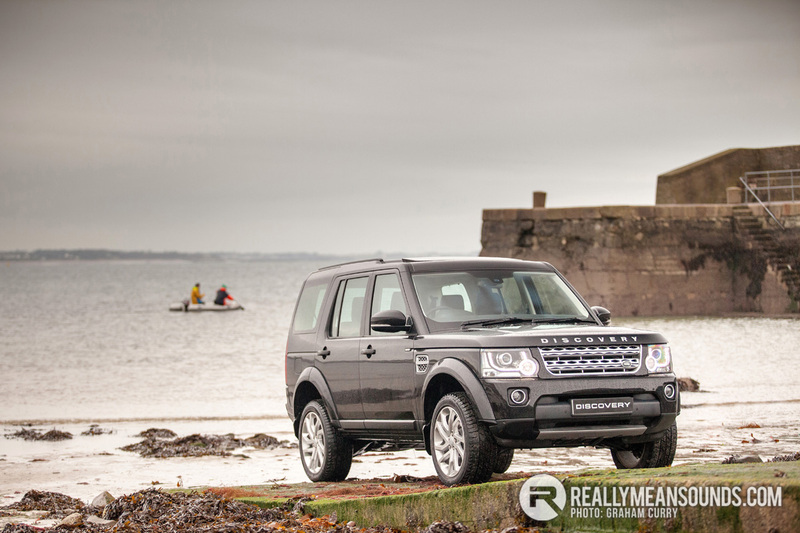 Pricing for the Discovery 4 starts from just over £41k for an SE model, rising to just shy of £60k before options on the HSE Luxury with this HSE model tested coming in at around £55k. Road Tax comes in at a respectable £290 / annum. | Love the Disco 4! Great machines . Have they stopped making them as discovery sport out now ? | Great machines . Have they stopped making them as discovery sport out now ? It looks so much better than the Sport Version. Lovely machines and I really like them, but it's been a long time since any Discovery has been capable of proper 'heavy offroad' use IMO. First and last time a newish Disco went offroading with us it literally fell to pieces and then got stuck and it was a bit of a disaster to recover due to the weight. The old ones had their issues and were not great to drive but they did (and still do) the offroad thing very well (when they're working). The new ones do what they're designed to do very well though, no doubt about it. | Lovely machines and I really like them, but it's been a long time since any Discovery has been capable of proper 'heavy offroad' use IMO. First and last time a newish Disco went offroading with us it literally fell to pieces and then got stuck and it was a bit of a disaster to recover due to the weight. The old ones had their issues and were not great to drive but they did (and still do) the offroad thing very well (when they're working). The new ones do what they're designed to do very well though, no doubt about it. We'll have to agree to disagree on that. A defender is lighter, has more clearance and has better approach and departure angles. All the switches and gadgets (or tyres for that matter) in the world won't help when you get the belly or bumpers hung up on something.